Be still my nerdy heart. The theme for the Nick Graham Fall 2017 show was a Mission to Mars. 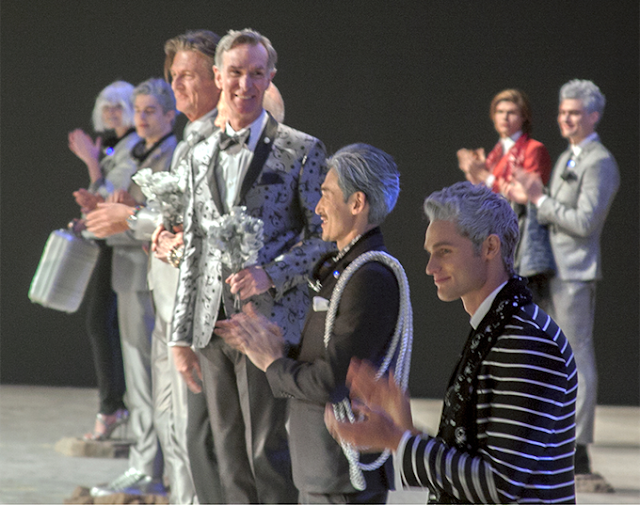 The show opened with everyone's favourite TV science teacher Bill Nye making remarks about space and exploration. Like yesterday's Samuelsohn show, the preferred hair colour was metallic silver, this time to reflect Spaceman styling. Nick Graham is updating Bill Nye's lab coats to designer threads for his upcoming new series. His silvery suit had a print of rocketships. Metallics paid a prominent role throughout the collection in general, which included more silver, grey, black, red and night sky blue. The suits were cut slim. 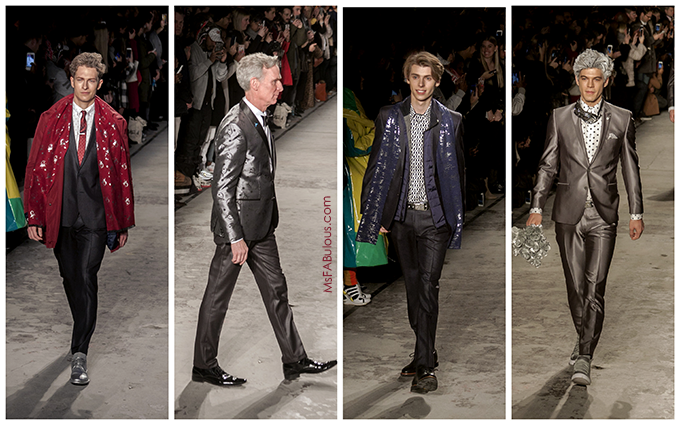 The varied prints were playful for the young, impish hipster or the eccentric, beloved uncle. If you are more conservative in your style, you can pick and choose your pieces from this collection. You don't have to wear head-to-toe shine and patterns. Feel free to bring a bright jacket in to add a pop of colour or have a collar of rocketships peek out from your solid black suit. The theme of Life on Mars might be an escapist idea from the turmoil of our world right now. However, I did geek out at the special guest star model of Buzz Aldrin on the runway. 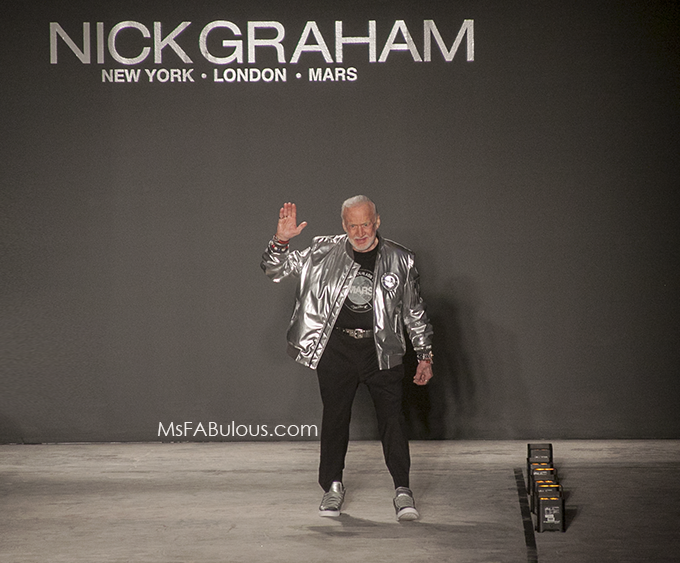 One of the first men on the moon, this was not his first trip to the planet of high fashion. I met him years ago at Louis Vuitton's 40th Anniversary celebration of the lunar landing. The difference is the stars in his eyes are real ones. Nick Graham is a whiz at graphics and prints that make your wardrobe fun. When he picks a theme, his casting is perfection. On this cold, snowy day, the mission to Mars and the most qualified men to take me there absolutely made me smile.